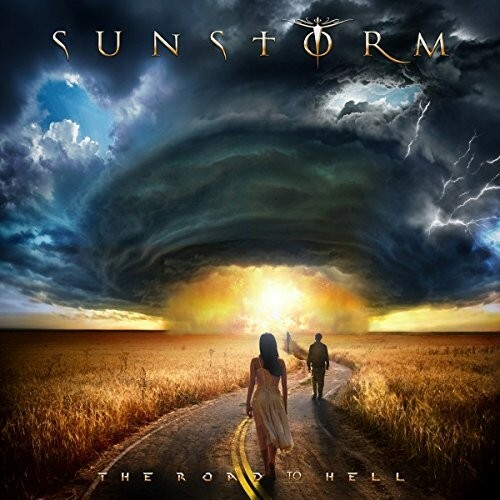 The Sunstorm series began when Frontiers president Serafino Perugino and Joe Lynn Turner got together to polish up and release some of the great songs the former Rainbow singer had demoed up in his eighties heyday. The self-titled debut album was a triumph, featuring several of Turner's songs mixed in with tracks from the likes of Survivor's Jim Peterik and Van Stephenson, among others. 'House Of Dreams' repeated the formula, but when it came to the third effort 'Emotional Fire', none of Turner's compositions were on offer, the material instead coming from outside writers with three Michael Bolton penned covers thrown in, which were the clear highlights. There was a thought it might end as a trilogy, but Frontiers instead brought in their tireless in-house writer and producer Alessandro Del Vecchio to pen an album of original material to evolve the Sunstorm sound on 'Edge Of Tomorrow'. While that album toughed up the AOR foundations of its predecessors, I felt it again sorely missed Turner's writing touch, lacking the hooks he is so frequently capable of producing. 'Road To Hell' acts as a sort of sequel. I haven't got the writing credits as I was sent the album digitally, but to my ears, I would say Turner's compositional talents are again not utilised; these sound like Del Vecchio's songs. The good news is Turner still sounds superb singing them and the songs are stronger than those on 'Edge Of Tomorrow'. 'Only The Good Will Survive' blends the catchy sound of the original albums with the tougher feel of the newer efforts and kicks things off in grand style. 'Road To Hell' is an infectious stomper and 'On The Edge' has a great chorus – something 'Edge Of Tomorrow' didn't have enough of. Turner owns the ballad 'Everywhere' as in another singer's hands, this would run the risk of being a filler. For the most part, though, it's energetic stuff like the barnstorming 'Resurrection' or the enjoyable 'State Of The Heart'. If I were to offer criticism, it's the lack of Turner's writing (unless I've totally misjudged things as I'm working off MP3s) and the production is not as powerful or punchy as the Dennis Ward-produced earlier albums. On the plus side, I personally enjoyed this much more than 'Edge Of Tomorrow' and after Turner's recent health scare, new music from one of the best vocalists in the business is always welcomed with open arms.